Fascias, soffits, and cladding installation/repair. FREE guttering with every install. 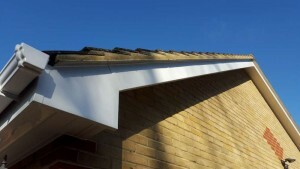 Choice of half round, square-line, ogee and deep flow guttering. Covered by the CPA for your peace of mind. Competitive pricing on installs & roofline maintenance work. We promise to compete with any proven genuine qoutation for works. At Easy Fascias, we are a Kent-based family-run business that can offer you quality exterior weather protection for your home. Whether you require a full upgrade of the line of your roof, or you just need a repair to your existing fascias and soffits, if you’re in the Kent area, then we can help you. Intrigued? Watch this video and we hope you will be inspired! With prices that you would expect from choosing a small, local company you definitely won’t be disappointed. 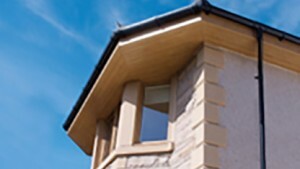 We can provide you with top-quality fascias, soffits, guttering and cladding, all available in styles and colours to match and enhance your home. Not only will you be able to keep your roofline in excellent functional condition, you’ll be able to add both warmth and character to your home. Fascias, soffits and guttering are essential elements of any roof, so it’s important that you keep them well maintained. Your roof will also remain functional for much longer if you keep your fascias and soffits in good working repair. With every installation we will supply you with FREE guttering, ensuring that your home is capable of surviving all that the elements may throw at it. If you require cladding, then we can help you with that too. 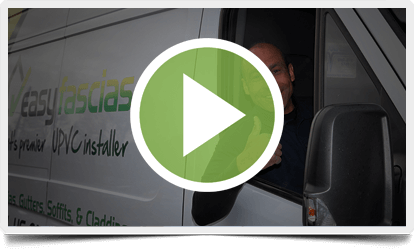 Our team all have extensive experience, giving you peace-of-mind in understanding that you’re getting the highest quality services possible at the best possible prices. 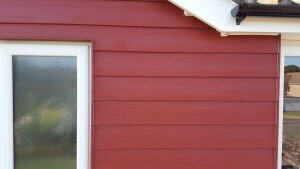 Professionally installed and well maintained cladding makes a good impression and protects your home. Suitable for all properties, from the classic half-round and square-line to decorative ogee guttering. I would like to let you know how pleased we are with the installation of UPVC soffit, fascia and guttering to our 4 bedroom house by your company. Incidentally we should also mention that the cost which you quoted, and adhered to, gave us a 15% saving on most other quotations.